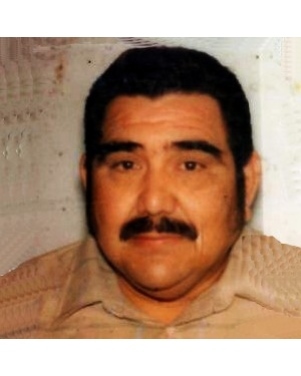 Jessie Diaz Ramos, age 73, passed away on Tuesday, February 5, 2019 in Corpus Christi, Texas. Jessie was born on April 8, 1945. He retired from the Department of Defense after 37 years of service. He was avid fisherman, hunter, enjoyed barbequing and loved being with family and friends. Jessie was a reserve officer with the Nueces County Sheriff Department for over 20 years. He is preceded in death by his parents, Brigido and Adela Diaz Ramos, brothers-in-law, Juan Gomez, Ray Cervantes; a sister Maria Elena Balderas and her husband Judge Robert “Bobby” Balderas and a nephew, Tim Rodriguez. He is survived by his loving wife of 50 years, Rosie L. Ramos; children, Robert Ramos (Teresa), Patricia Ramos all of Corpus Christi, Texas; his siblings, Benita Gomez, Elia Rodriguez (Timo), Rudy Ramos (MaryLou), Janie Cervantes, Brigido Ramos Jr. (Maria); numerous nieces and nephews. Visitation will be held from 5:00 p.m. to 9:00 p.m. on Monday, February 11, 2019 with a Rosary to be recited at 7:00 p.m. that same evening at Corpus Christi Funeral Home. A Funeral Mass will be celebrated at 10:00 a.m. on Tuesday, February 12, 2019 at Ss Cyril & Methodius Church.